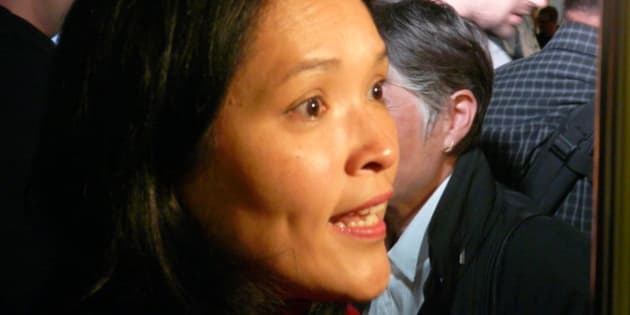 VICTORIA - British Columbia's NDP Opposition leader says his party is still figuring out the terms of caucus member Jenny Kwan's unpaid leave from the legislature, prompted by her connection to an audit of a Vancouver-based non-profit group, but he's brushing aside questions about whether Kwan should resign. Kwan announced the leave on Friday after writing a $35,000 cheque to cover her family's trips to Disneyland and Europe, which were paid for by the Portland Hotel Society, a group that works with some of Canada's poorest and most vulnerable people. NDP Leader Adrian Dix said the length of the leave is Kwan's decision, but he said the party was also checking with legislature officials. There are examples of members taking leaves in the past for health issues. "Right now, she's taking this leave to legitimately deal with family issues and to provide support for her children, and I support her in that," said Dix. "When she's ready to return, she'll return." Dix brushed aside questions about Kwan's possible resignation over the funding issues. "In this case, she's taken strong steps," he said. "She immediately, without delay, moved to pay the money back. They are the right steps." Dix said he supports Kwan's decision to take time off, even though there have been calls for her to resign or face suspension. Last week, the B.C. government fired four managers and appointed an interim board after scathing audits revealed the society spent hundreds of thousands of dollars on lavish trips, hotels, restaurant meals and other questionable expenses. Rich Coleman, the minister responsible for housing, said Kwan's decision is a personal issue, though he's never heard of a case where a member took a leave of absence under similar circumstances. "I think that we just have to recognize what's going on with people's lives and they have to make their own choices," he said.